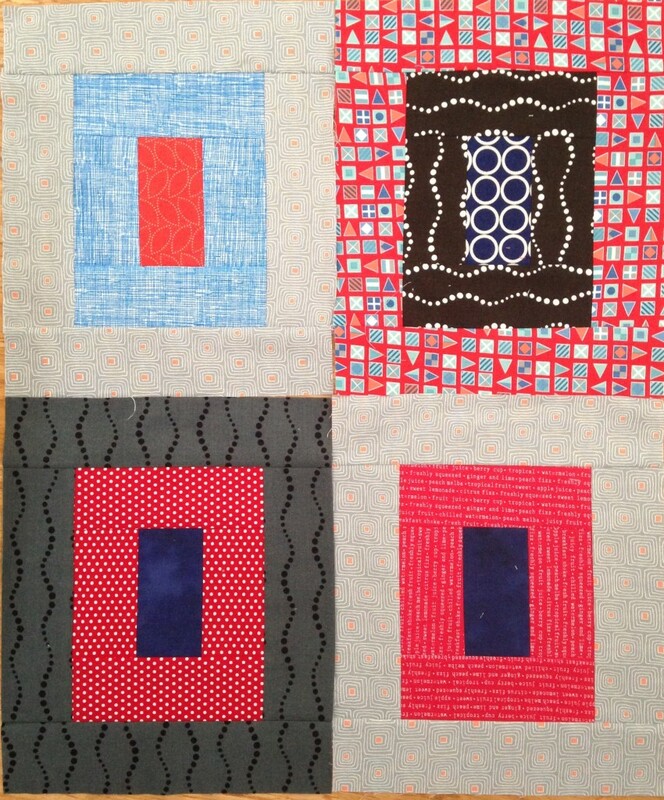 This months bee block for Siblings Together was chosen by Maria and the Frame Block box tutorial is by Sarah. It’s a great scrap busting block although that very much depends on your scrap collection! The outer frame does require a total strip length of 38″ x 2.5″ but I found that in my scrap boxes I had lengths of off cuts from quilt backings that were more than long enough for this purpose. So it was pretty quick and easy to put these blocks together. 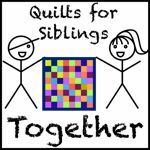 If you fancy making some to donate or can make a whole quilt yourself then please do so; check out the Siblings Together blog for more info. 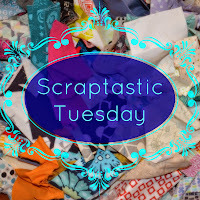 I’m linking this up to Nicky and Leanne for Scraptastic Tuesday. I like how you maintained a color scheme even when the blocks are scrappy. Visiting from Scraptastic Tuesday. Those blocks remind me of 60s geometric inspired artwork.